Exporter of a wide range of products which include jominy end quench hardenability test apparatus, metallurgical specimen cutting machine, metallography specimen grinding, digital disc polishing machine, spectro sample polisher and metallurgical mounting press. Jominy End Quench Hardenability Test Apparatus has quick transfer of specimen to quenching fixture with specific time with the special tong. The quenching features is designed strictly as per specification like 45 degree angle of top plate, quenching distance, jet stopper, release just before quenching etc. Motorized water circulation through water pump with storage and test tank. At a time one jominy test can be conducted . Fully covered set up with top open. 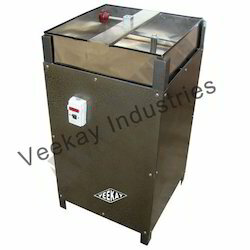 Optional accessories: muffle furnace, temp upto 900 degree. Manually by moving motor to cut the sample. By manual cut-off wheel in chop type procedure. 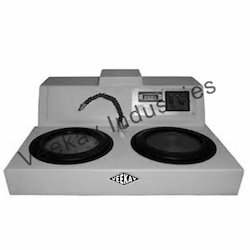 We are counted among the most prominent manufacturers, suppliers and exporters of optimum quality Spectro Sample Polisher. 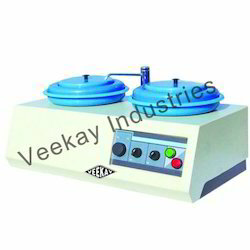 These sample polishers are used in sample preparation and find their application in industrial labs. Offered sample polishers are globally appreciated among the clients for their better precision, dimensional accuracy and durability. 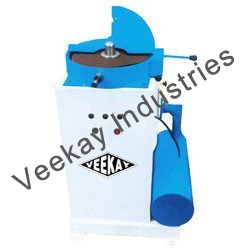 Moreover, we offer these sample polishers at competitive market prices. Land T make push button type for main and air gripping motor. 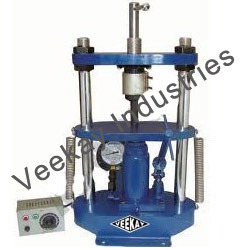 Our organization is instrumental in the manufacturing and supplying of high quality Metallurgical Mounting Press. Offered presses are manufactured under proper guidance of our expert team using fine quality metals that is sourced from trustworthy vendors. Known for their sturdy construction, seamless finish and easy installation, our mounting presses are widely demanded by the clients. In the designing of these presses, we use high quality mould heater and digital temperature controller which make them more popular. 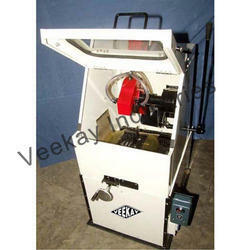 Looking for Metallography Equipments ?